Start with your own feet, and look at what's already in your closet. Stand barefoot on a piece of paper or cardboard, and trace the shape of each foot. Now take your shoes, one by one, and place them on top of the drawing. If you're like most people, your "comfortable" shoes will closely match the outline of your own feet. Identify the shoes that cause pain. If you're a woman, most of these will be shoes with narrow toes or high heels. Check to see if the toe of the shoe is narrower or shorter than your own toes. Wait until the afternoon to shop for shoes — your feet naturally expand with use during the day and may swell in hot weather. 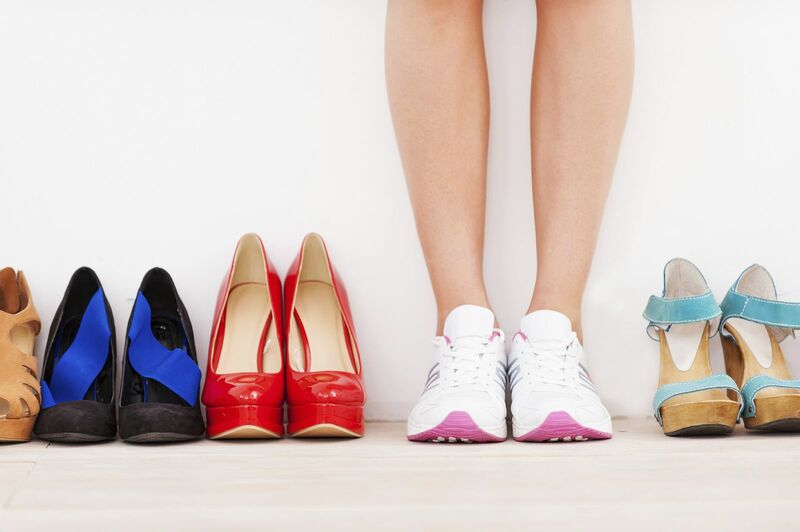 Have the salesperson measure both of your feet — and get measured every time you buy new shoes. If one foot is larger or wider than the other, buy a size that fits the larger foot. Trust your own comfort level rather than a shoe's size or description. Sizes vary from one manufacturer to another. And no matter how comfortable an advertisement claims those shoes are, you're the real judge. For more information on caring for your feet, buy Healthy Feet: Preventing and treating common foot problems, a Special Health Report from Harvard Medical School. Ask the doctor: What can I do about foot pain caused by Morton's neuroma?